These same aromatic oils—called thymol and carvacol— become more concentrated, intensely flavorful and pungently memorable when the crisp, dry diminutive leaves of oreganos are harvested from deserts or from salt-sprayed coastal landscapes. That is why I chose to join in the wild harvest of Sonoran Desert oregano along the Western Mexican coast of the Gulf of California. While I had grown various Greek, Lebanese and Mexican oreganos in my herb garden for years, I wanted to see what they tasted like fresh out of the wildest habitats on the North American continent. There, the most fragrant and piquant of all oreganos (Lippia graveolens subspecies palmeri) has been harvested for centuries by Seri Indian huntergatherers. The Seri or Comcaac traditionally used it as a culinary herb to season fish and venison, as a medicine to cure dizziness and as a vermifuge to expel head lice! Now ranked as one of the richest sources of antioxidants in the plant world, Mexican oreganos are being marketed for their protection against the maladies of aging and as an anti-inflammatory helpful in reducing aches from muscle strains. Their “chemo-preventative” properties are renowned among herbalists on several continents. The Seri are among the last tribes in North America that have shunned agriculture while persisting at their gathering, fishing and hunting traditions, much as their ancestors have done for centuries. On the desert coast amidst ancient forests of giant cactus, the 750-some Seri still harvest dozens of edible plants around the year, but oregano, jojoba and mesquite are their three principal commercial plant harvests. Although the oregano bushes had remained leafless during a drought lasting well over a year, a hurricane two months earlier had brought enough moisture to the coast to encourage a new flush of leaves on the oregano bushes. The Seri waited for the aromatic oils to concentrate in this new crop of leaves before they ventured out for harvesting parties in early December. My Seri friend Manuel Monroy had recently made a scouting trip to check the status of the new crop, and had invited me to join his family for a daylong outing to harvest the oregano leaves while they were in peak condition. I accepted his invitation, and the next thing I knew, I was one of seven “nomads” loaded up in Manuel’s pickup truck, fishtailing down sandy trails frequented by vehicles only three or four times per year. Although we passed other stands of wild oregano, Manuel did not stop until he came to a granite ridge coated in green. There hundreds of oregano bushes had leafed out since the torrential rains had drenched the ridge 10 weeks before. We jumped down from the pickup truck bed, grabbed our gunnysacks and lit out into the desert. “Xomcahiift is what we call oregano in our native tongue. Try not to damage the plant as you harvest. You’ll see—we don’t break off any branches, we just rake the leaves off of them with our fingers …” He demonstrated the raking motion, gleaning the leaves into his sack positioned at the end of the branches. 1) refrain from harvesting every plant in a clump; 2) leave a fair amount of leaves on each plant; and 3) keep branch breakage and trampling in the root zone to a minimum. Environmental impact studies have demonstrated that plants harvested in this manner are not depleted but respond positively, as if they have been pruned. In the year following such a harvest, they produce less woody tissue but more edible leaf matter per plant. As I began my own harvesting, I was amazed at how intoxicating the work became, as the fragrance of the fresh oregano intensified with the filling of my gunnysack. The others were scattered out around me in an area the size of a football field, singing or humming while they raked in the leaves. As we gathered, I remembered that the aromatic oils we were smelling play essential roles in the survival of the plants, reducing water loss from the leaves, while repelling foliage eating insects and, to some extent, goats and sheep! As humans, we are among the few animals that are attracted rather than repelled by the potent terpenes in the leaf oils of oreganos, marjorams, thymes and lemon verbenas. While attractive due to its flavor, health benefits and ease of harvest, Sonoran Desert oregano has not always returned a livable wage to those who have harvested it commercially. Up until recently, the Seri have only received three to eight percent of the retail value of this sought-after spice, despite doing most of the work to bring it to the consumer. While Seri traditional ecological knowledge and manual skill have ensured that their harvests are truly sustainable, some spice traders have relied on unskilled laborers who damage and deplete the wild populations. The Seri are currently attempting to direct-market their oregano to chefs and natural food consumers who are willing to offer them a fair-trade value for a spice that is indeed harvested sustainably in a wild habitat free from toxins and other contaminants. By purchasing oregano from the Seri, consumers are also helping an “endangered people” who have few other economic opportunities in their remote homeland, which receives less than 5 inches of rainfall annually. 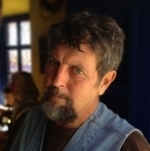 Dr. Gary Nabhan has worked for two decades with the Seri, producing the landmark book about their knowledge and harvest of natural products, Singing the Turtles to Sea, published by theUniversity of California Press. He is also the author of Coming Home to Eat and Why Some Like It Hot, and co-founded the Renewing America’s Food Traditions campaign.